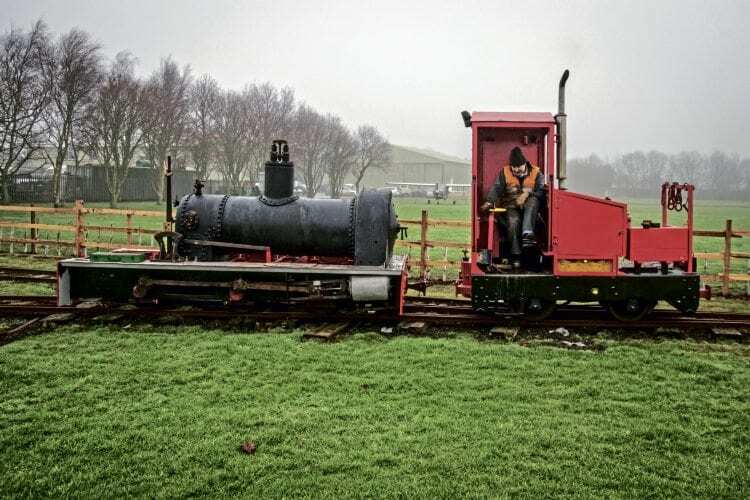 THE boiler of Lincolnshire Coast Light Railway Historical Trust’s Peckett 0-6-0ST Jurassic (1008/1903) has been returned to the loco’s frames at the Lincolnshire Coast Light Railway’s Skegness workshops. This followed the return of the boiler, firebox and smokebox after being overhauled at North Norfolk Railway’s Weybourne works. Reassembly of Jurassic is now progressing with the aim of returning the ex-Kaye and Company (of Southam, Warwickshire) loco to steam later this year. The cab, saddle tank, frames and fittings are being restored by volunteers. New components, including a brass dome cover and replacements for components stolen several years ago, have been manufactured, with specialist contractors producing other essential fittings. Jurassic worked on the original Lincolnshire Coast Light Railway (LCLR) at Humberston between 1961 and that line’s closure in 1985, and last steamed at Leighton Buzzard in 1987. The reincarnated LCLR at Skegness Water Leisure Park opened in 2009 and has been operated by internal combustion. The Heritage Lottery Fund-backed overhaul of Jurassic will introduce resident steam to the LCLR.